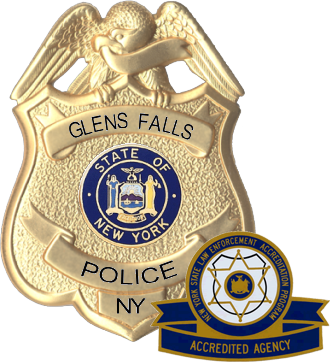 Congratulations to Glens Falls Police Patrol Officer Zachary Tanner on receiving the ‘Annual First Responder Award’. Officer Tanner was presented the award and recognized by Glens Falls American Legion Post 223 on May 10th, 2018 during a ceremony in front of Glens Falls City Hall. Officer Tanner was honored for his hard work in locating and arresting a wanted murder suspect in August of 2017 in Glens Falls. Officer Tanner was also recognized for his hard work in illegal narcotics enforcement.